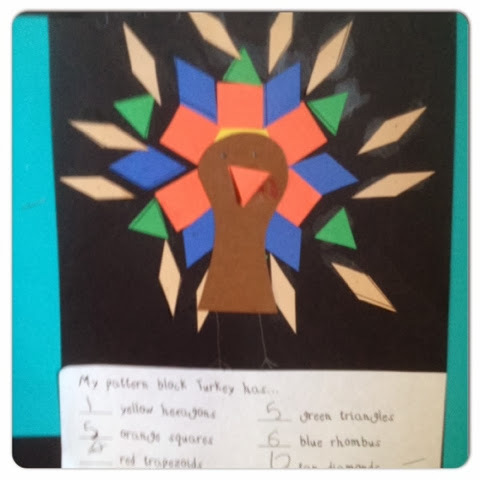 On Tuesday I posted about changing my lesson plan for American Education Week. 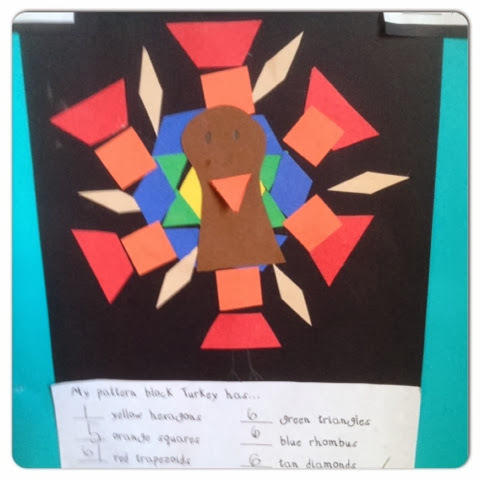 I thought I would a do problem-solving activity using Steve Metzgers book Silly Turkey Party or doing a turkey sorting activity. 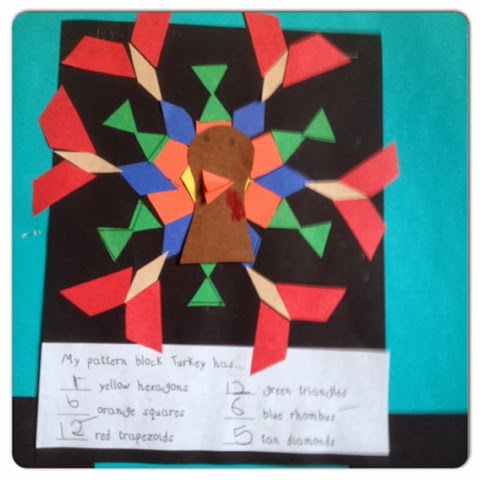 But I change my mind again… I found this really cute pattern block turkey activity on Chalk Talks blog. 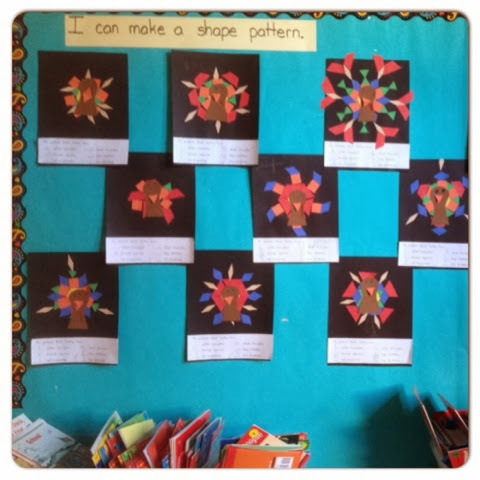 Needless to say I got to school extra early this morning to cut out all of the shapes. I downloaded the template from Heidi song blog here. They turned out super cute and the kids had fun.